This Red & White Tactical Shemagh Head Wrap measures 42" X 42" and is made from 100% cotton. Shemaghs provide excellent protection from the sun and sand in a practical manner. 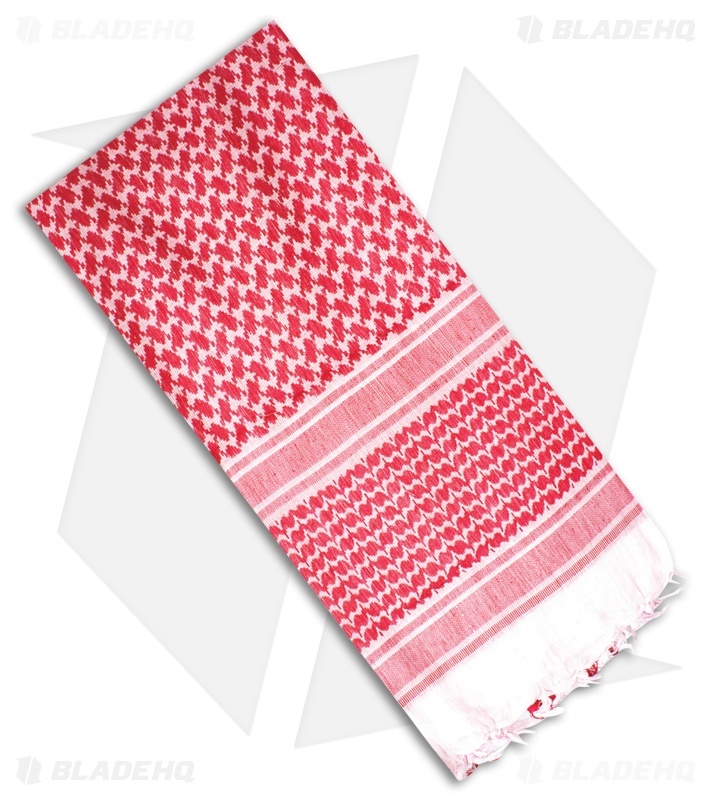 Their usefulness isn't limited to just desert environments, they can serve as a neck warmer, hand towel, napkin, fashion accessory and more.